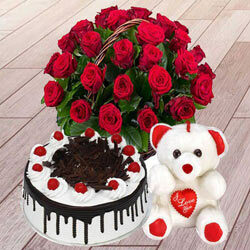 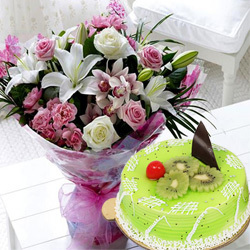 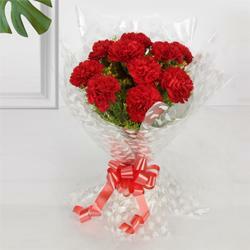 Send this special surprise of Stunning Arrangement of Twin Teddy and Red Roses to your dear ones and bring happiness in their lives. 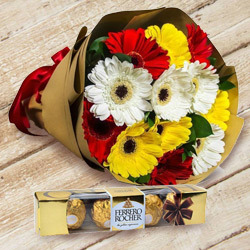 Liven up the mood of someone special by gifting this Smart-Looking 24 Red Roses Arrangement with Twin Teddy that carries all the elements to bring happiness. 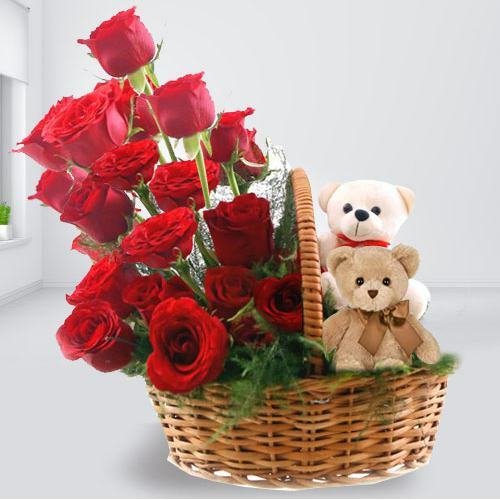 Liven up the mood of someone special by gifting this Smart-Looking 36 Red Roses Arrangement with Twin Teddy that carries all the elements to bring happiness.